This Is Not a Vacation, Paradise Interns. Anna Kloth never had a typical job. When college graduates scrambled to their first full-time employment, Anna moved from sunny California to the snowy mountains in Utah. She worked in fine dining at a ski resort – but really – she was there for her favorite winter sports: skiing and snowboarding. Anna later found herself surfing the snow in New Zealand, but on her trip to Honduras, she discovered a new adventure – scuba diving. After spending a year in Honduras to become a dive instructor, Anna moved to Bali, Indonesia in 2012. Today, she’s still living in Bali, occasionally diving, but mostly conquering her startup business, Paradise Interns. Paradise Interns is an intensive education program that equips interns with digital marketing skills and then matches them with local companies in Bali. A group of 20 interns would attend a month-long digital marketing boot camp right in the Indonesian paradise. After the training, they have to employ their marketing skills at a local company for the next five months. The most alluring perk besides a practical education and a supportive community? Unlimited access to scuba diving with local instructors. Many aspiring nomads have the misconception of how working abroad or remotely must be less stressful than any nine-to-five jobs. 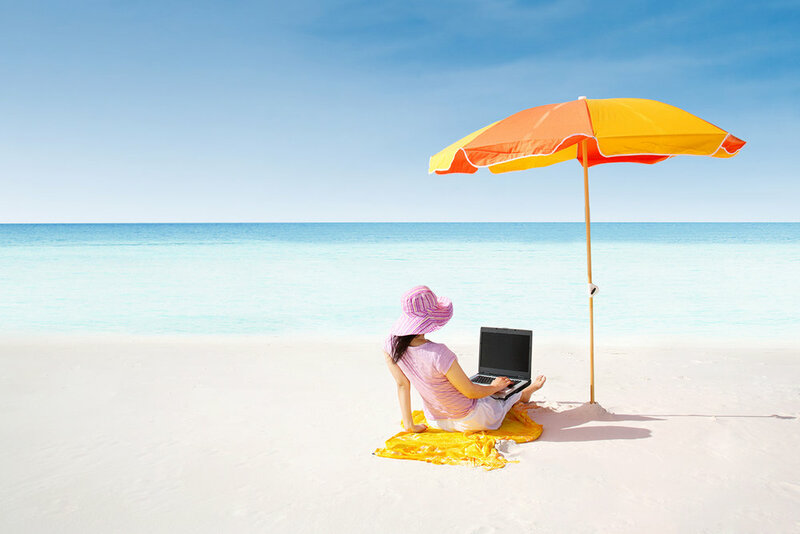 Remote workers, digital nomads, and virtual entrepreneurs often enjoy a flexible work schedule in an environment of their choosing; however, the lack of imposed structure doesn’t translate into a four-hour work week. “Don’t join this lifestyle if you’re looking to not work as hard. You’ll be working twice as hard, but on your own energy,” Anna says. In the four-week boot camp, the Paradise Interns have to master a wide range of creative skills: branding, social media marketing, content marketing, video production, photo editing, copywriting, SEO, and graphic design. Occasionally, they would attend guest lectures given by industry professionals like Srivatsa Ray, a DevOps expert and a former astronaut at BuzzFeed. Sri, a nomadic traveler, visits Bali several times a year and enjoys hosting a coding workshop at Paradise Interns when he’s in town. “The folks at the boot camp were a very curious bunch, eager to listen, and they came from all walks of life. More than my ‘lecturing’ them, I got to know some of them and hear their stories too,” Sri says. After completing the courses, every intern essentially becomes a jack-of-all-trades, ready to take on any marketing challenges. They would be placed within Bali’s diving and tourism industry, namely local hotels, bars, dive centers, and non-profit organizations. Most of Bali’s local shops are small businesses that have limited access to professional talents and resources, especially in digital marketing. That’s where Paradise Interns fills the gap – by placing well-trained marketing interns at a local business for five months after completing the boot camp. In the United States, tech giants and startups frequently look for social media managers who’re willing to work for a cool brand at minimum wage. Wired describes social media specialist as a “pink collar job” where the role often calls for feminine qualities and invisibility. While branding and marketing are vital to a business, these roles often don’t yield the same kind of recognition and pay like coding and programming. 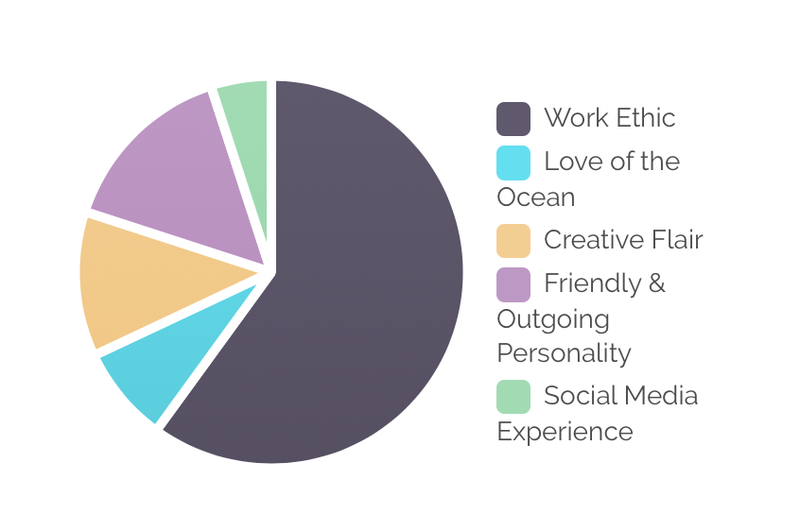 60% of the Paradise Interns have received job offers in Bali immediately after the end of their internships. Most of them are in their mid-20s and have worked a few years after college, perhaps needing a sabbatical or a reboot from their individual quarter-life crisis. “To many, [doing an internship in Bali] may have seemed like a ridiculous decision, and I’m pretty sure they’re still not entirely sanguine about it. But for myself, I know I’ve found a path that I’m excited to follow and I’m going to be able to use this to gain potential employment with other companies,” writes Dawn Whittle, a former Paradise Intern. Like any startup entrepreneur, Anna devotes most of her waking hours to running her business. Besides taking care of her bright-eyed interns, she has to fulfill the marketing needs of her local clients. With years of hands-on experience, she might be able to do just about anything in running a small business. But she fails at one thing, that is, feeding herself regularly between tasks. By January 2019, Anna expects to have as many as 30 interns at once. Among onboarding those incoming interns to their new paradise home and allocating talents to her clients, Anna’s to-do list only gets longer.